Pleasant villa for up to 11 people. Families and groups of friends are welcome. Pets allowed. 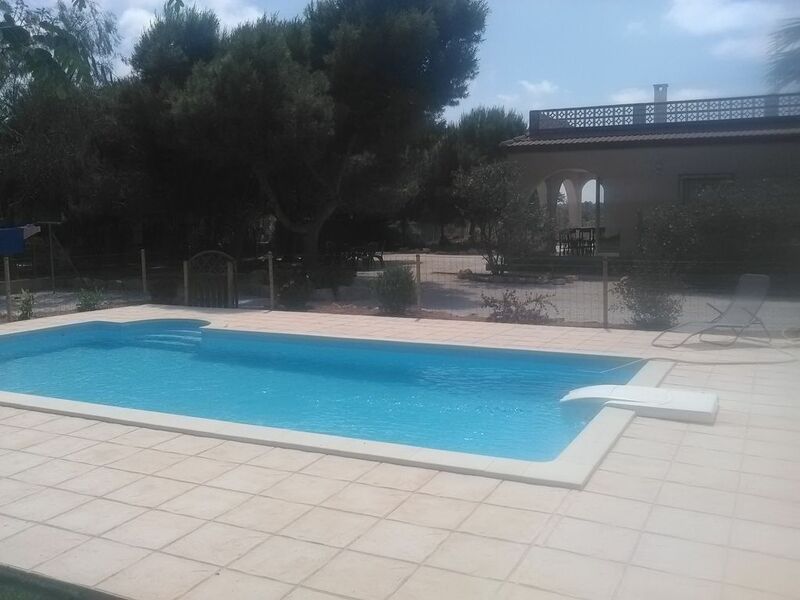 A 1.2km from the sea and 1km from the village of El Altet. Possibility to rent several months to contact me for prices (depending on the period). Bathroom 1, equipped with a bath, a sink and a toilet. Bathroom 2, equipped with an Italian shower, a sink and a toilet. the house is on one floor, only 3 steps to reach the terrace the gates of the villa does not allow to accommodate wheelchair armchair.